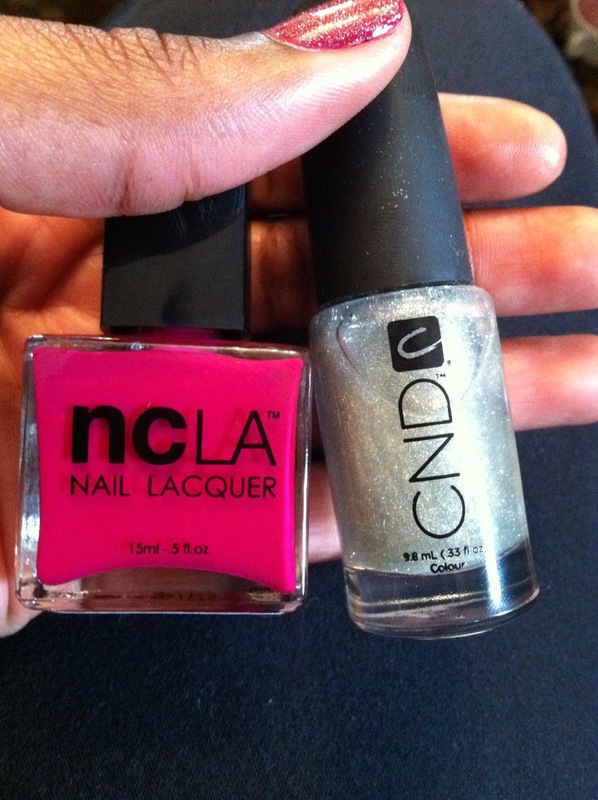 This week, I tried out two polishes I got in my gift bag from Channing’s party- CND Effects in silver and an NCLA color in ‘Hello, I Love You’. The NCLA is a really cute pinkish-purple, but it finished a little more dull than I’m used to. 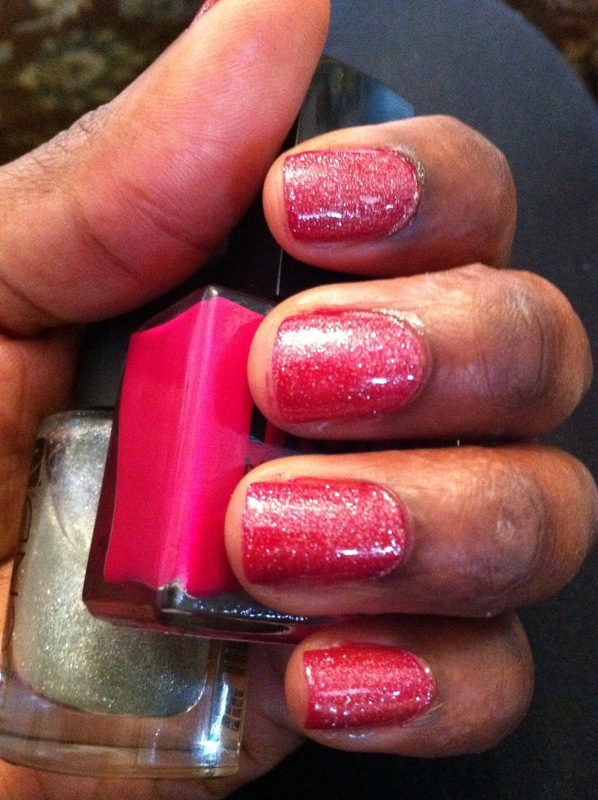 Definitely needs a top coat (I’d do Essie’s Let It Shine to get it really shiny) and the CND gave the perfect amount of glitz. There’s a little bit of beige in the base so it makes the finished product a little darker but I like it a lot. I hadn’t tried any of the NCLA colors yet but I’ll definitely look out for some more!